A Look at Members of Public Invited to Royal Wedding - Integration Through Media ....! 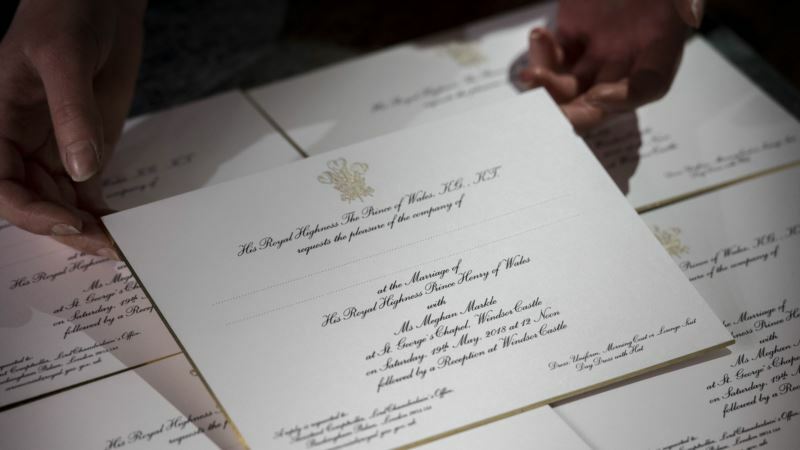 (VOA): Kensington Palace has announced that politicians and world leaders won't be attending Prince Harry and Meghan Markle's wedding. But 1,200 members of the public — many involved with charities or community groups — have been invited to the grounds of Windsor Castle for the May 19 celebration. That will give them a chance to see the royals arrive at the chapel and to see the carriage procession after the wedding ceremony. – Pamela Anomneze, 52, who works with 306 Collective in London, which helps people with mental health issues by teaching them to create mugs, jewelry, textiles and other items. – Catherine Cooke, 53, and her daughter Julie-Ann Coll, 35, of Northern Ireland. Cooke was chosen for her involvement with a network of women's groups across the country and Coll for her work with Life After Loss, a child bereavement support group she joined after her 22-week-old son died. – Kai Fletcher, 18, who was homeless at 15 and now works with a charity called Southside in the English city of Bath. – Jorja Furze, 12, who was born with only one leg and is an ambassador for Steel Bones, a charity in England that supports civilian amputees. ​- Phillip Gillespie, 30, a former soldier from Northern Ireland who lost his right leg in a combat incident in Afghanistan, where Harry also served. – David Gregory, 28, a teacher in northeastern England who is a driving force behind efforts to get students more engaged with science, technology, engineering and mathematics. – Reuben Litherland, 14, who was born deaf and has started giving sign language lessons at his school in England. – Amelia Thompson, 12, who was caught up in the suicide bombing at an Ariana Grande concert in Manchester that killed 22 people last year. As her guest she's taking Sharon Goodman, the grandmother of 15-year-old Olivia Campbell-Hardy, who died in the attack. – Amy Wright, 26, from Scotland, chairwoman of the board of directors for The Usual Place, a cafe that provides training opportunities for young adults who need support.